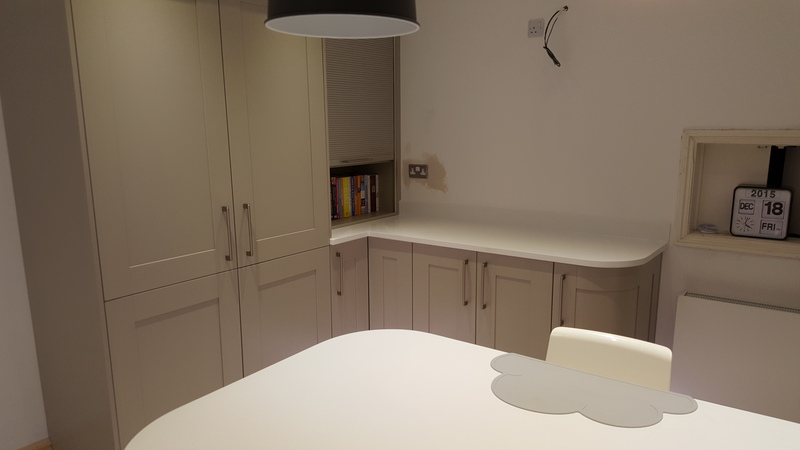 This desirable kitchen has been fitted with Madison Painted Kitchen Stori doors. 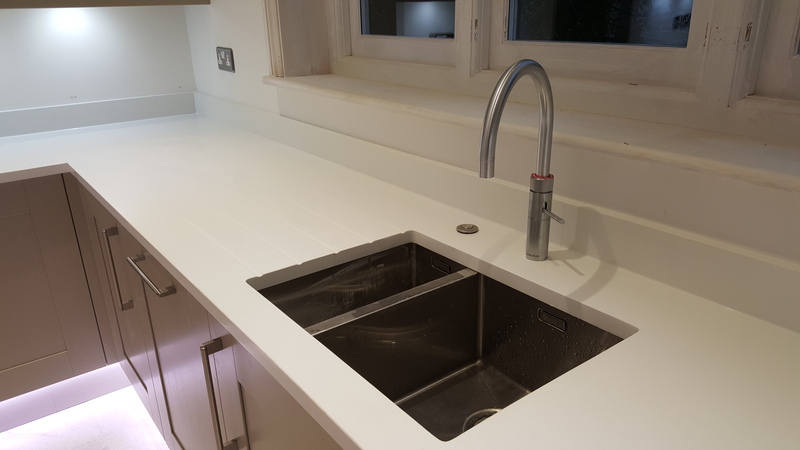 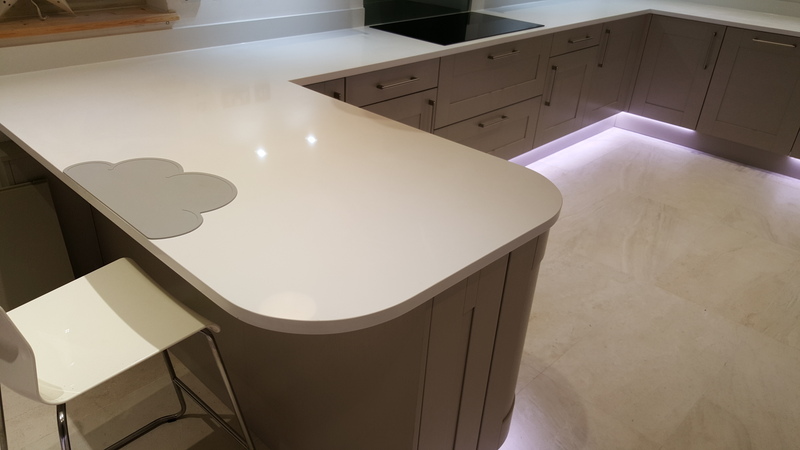 Featuring Kitchen Stori Madison painted doors in Stone with a 30mm Artic White Quartz and beauitfully curved edges throughout. 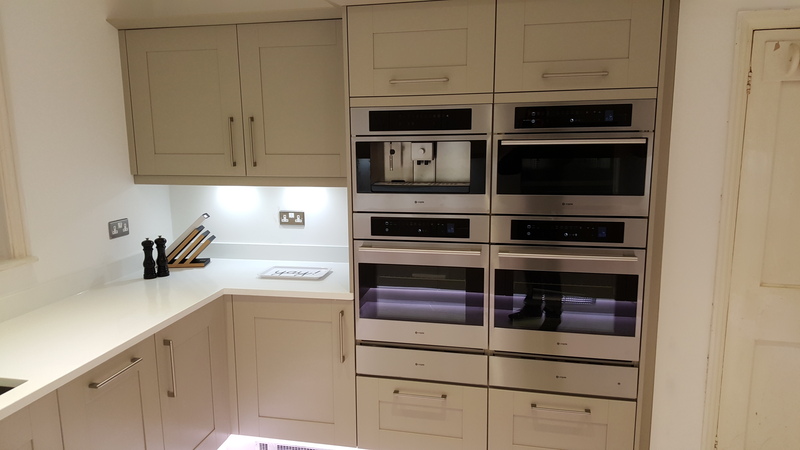 They have two double banks drawing attention to the two single ovens sat side-by-side with a built-in coffee machine, combination microwave and a warming drawer. 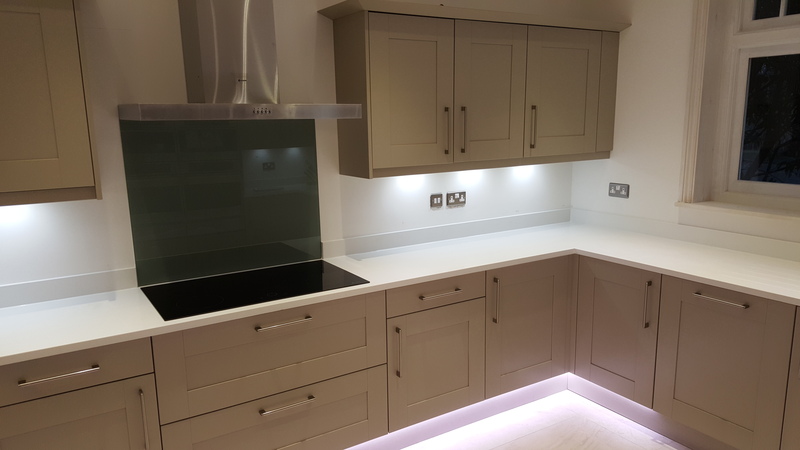 The other double bank includes a full size fridge and freezer. 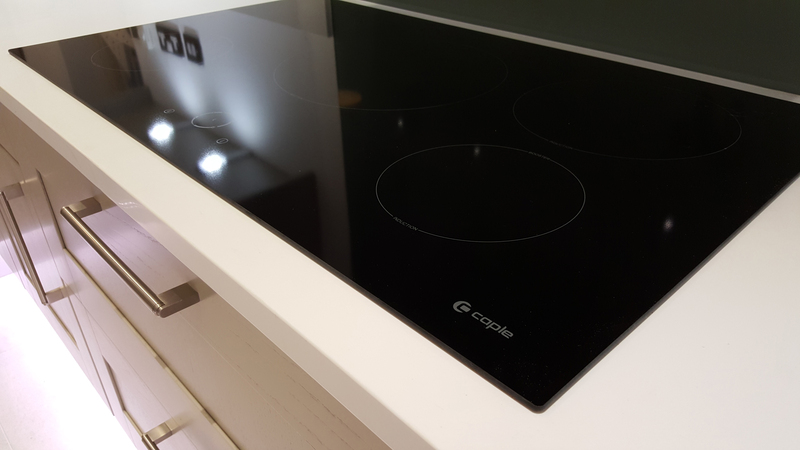 A wide Caple induction hob, chimney hood and a wine cooler on display give this kitchen vocal point. 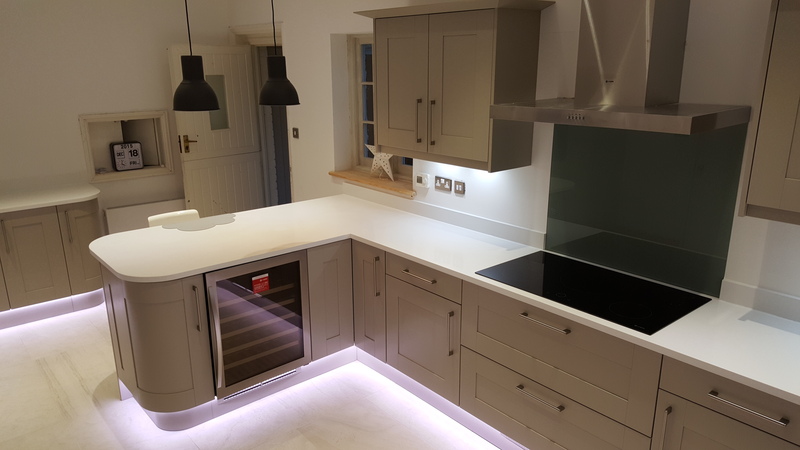 This stunning kitchen has a Quooker boiler tap and plinth heaters to give an extra edge.